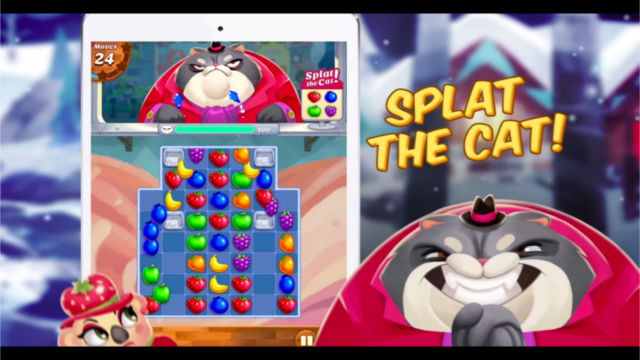 Juice Jam is a free to play casual strategy game developed by Social Gaming Network for iOS, Android, and Facebook. 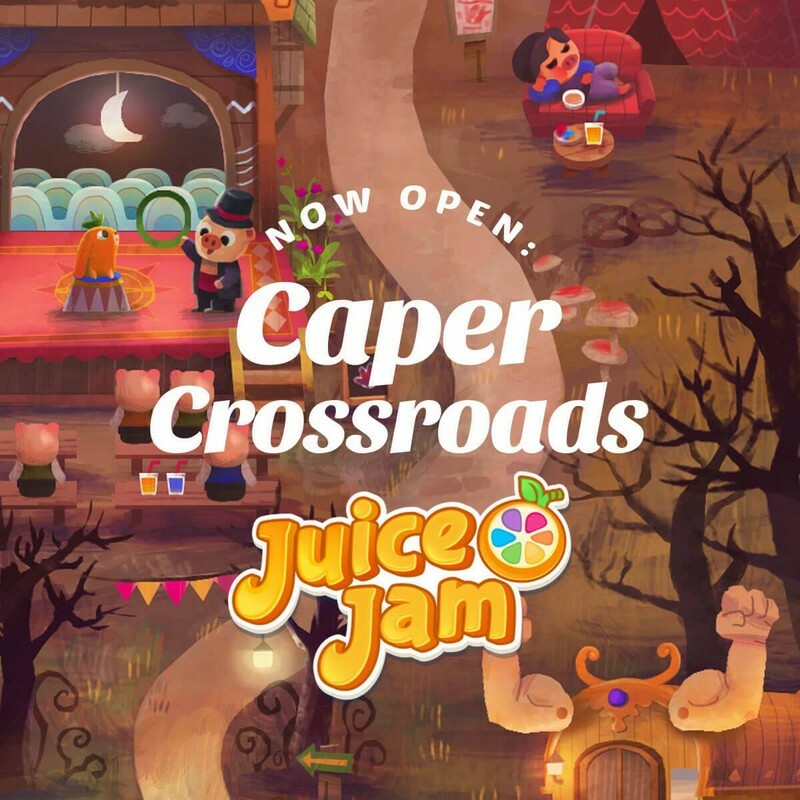 An aspiring juice creator named Kiwi needs your help making smoothies, popsicles, and more for her guests! 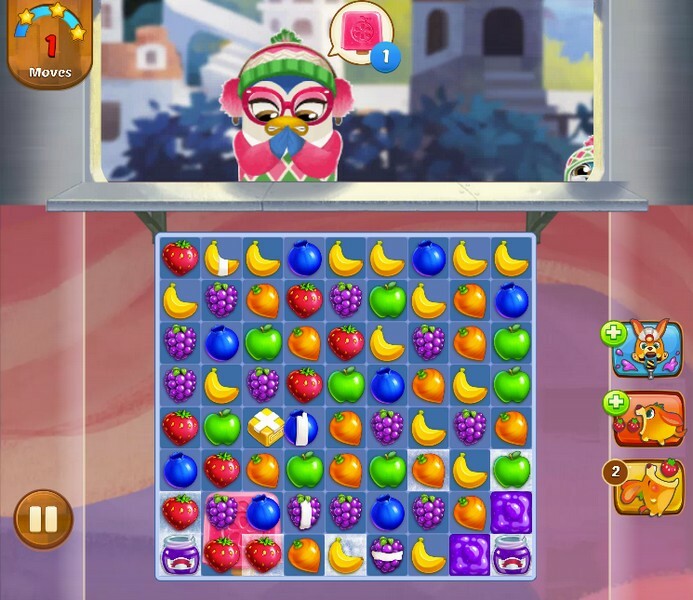 Join her on her travels in her juice truck and match different kinds of fruits to create juicy treats for different kinds of adorable customers. Can you help Kiwi achieve her dreams of organic, juicy success? 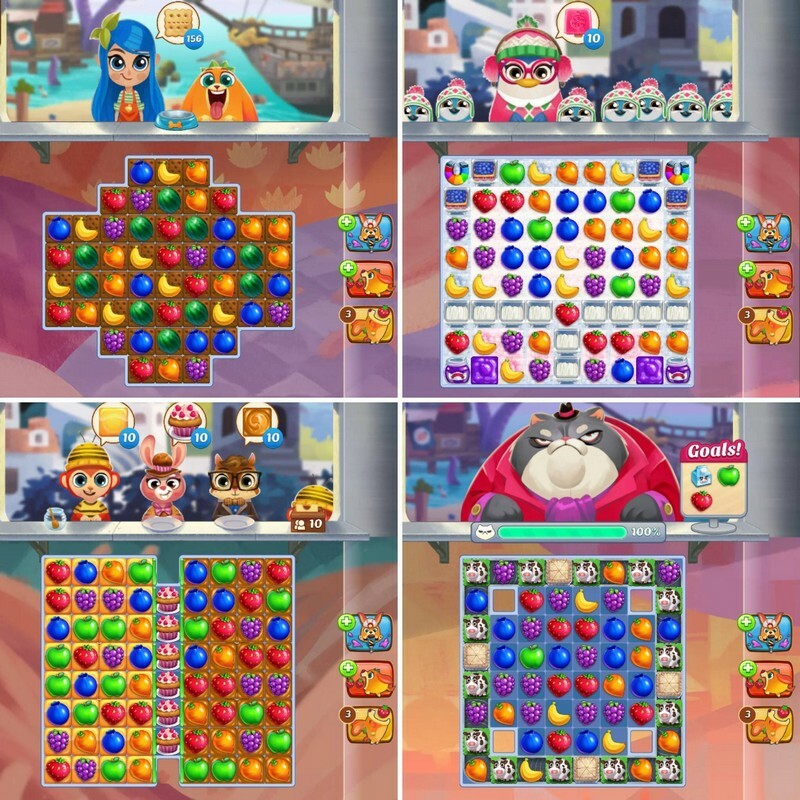 Fruit Matching: Match 3 of the same fruit to make them disappear from the game board. 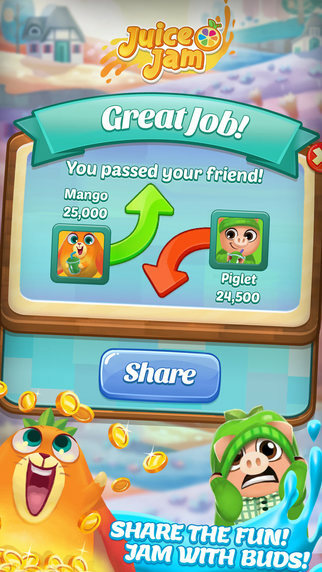 If you can match even more than three fruits you might earn yourself a power-up to take out many fruits at one time. 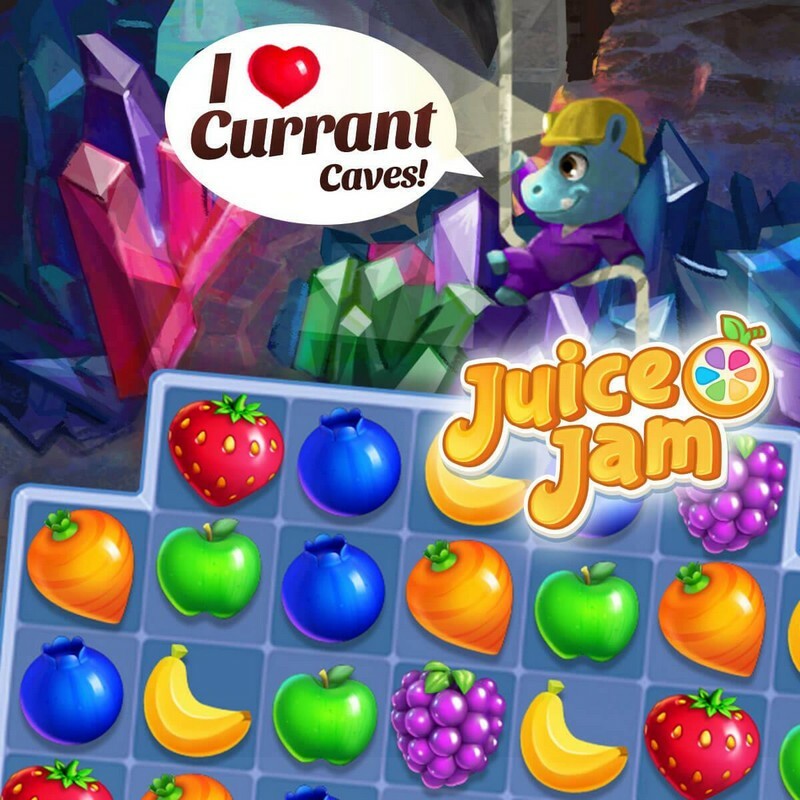 Traveling Juice Truck: Travel through different vibrant areas and satisfy as many customers as you possibly can! Penguins: Penguins don't just want smoothies, they'll want a cold juicy treat in the form of a popsicle to make them happy. 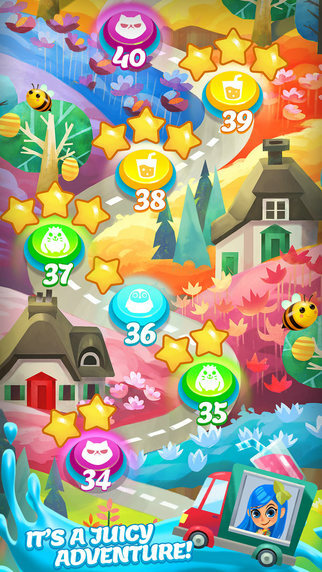 Cat Bosses: Challenge large cat bosses and feed them all of the fruit they need to satisfy their cravings. A trailer for a matching game developed by SGN called Juice Jam where you can work on a traveling juice truck and serve customers!